The original Moto 360 was not only the first round smartwatch - it was in fact the first smartwatch that looks like a regular, stylish watch and not a geeky computer strapped to your wrist. This year, it’s time for an upgrade: enter the new Moto 360 (2015 edition) and Moto 360 Sport. The watch retains the same circular form and ‘flat tire’ display, but adds two sizes (yes, a smaller one is now available as well) and an easy-swap mechanism for the bands. Naturally, it's also an all-around upgrade with a boost in terms of battery life and performance. Here's what it's all about. First of all, the new Moto 360 comes in two sizes: a large, 46mm one and another version with a smaller, 42mm case. What's notable about the Moto 360 is that it features record screen to body ratio thanks to its form and thin bezels, so you get a lot of screen real estate in a body that is not as huge. The next big thing about the Moto 360 is called 'Quick Release Bands' (with a small latch that you can see on the bands) and is basically a mechanism similar in function to that of the Apple Watch: it allows you to swap bands on the fly, going from that casual to an elegant look. Then, there is a separate collection for women with some unique touches and exclusive color options. Naturally, you can use Moto Maker to customize the look of your watch in depth. 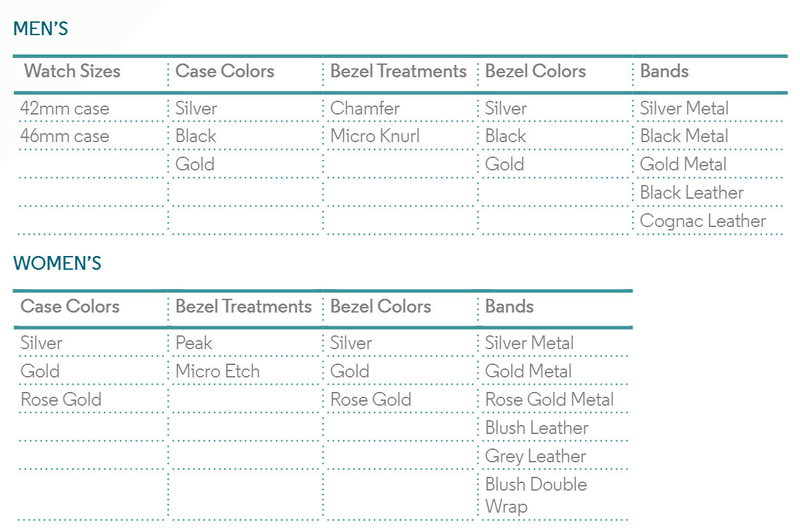 Initially, Moto Maker for Moto 360 will be available in the United States, Mexico, United Kingdom, France and Germany. The bands are worth a separate look. Motorola has been putting its focus on local manufacturing in the past, and this holds true for the bands in the Moto 360 as well: for instance, the genuine leather band is manufactured by Chicago-based Horween, a company with traditions in leather making dating back to 1905. 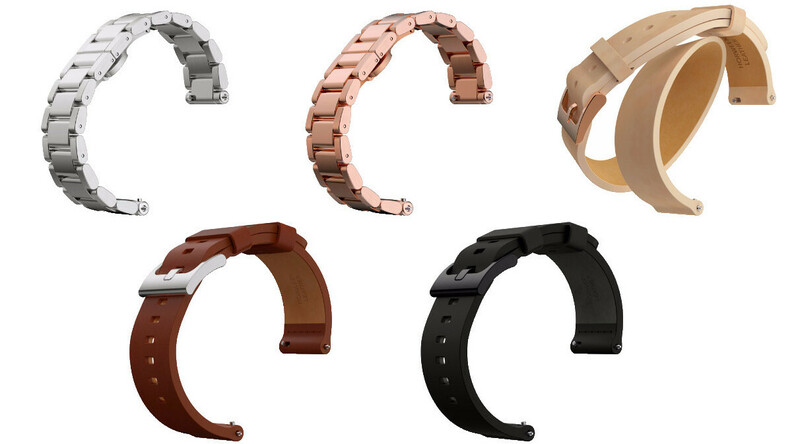 There is also the metal band made from aircraft-grade 316L stainless steel that is durable yet lightweight, and comes in various colors (see all the options at the bottom of this article). Comes with a built-in GPS, so that the watch can accurately measure your workouts including speed and distance. The Moto 360 Sport will also feature an optical heart-rate monitor that will be able to track your pulse for a more comprehensive view of your activity. The other difference is that the Moto 360 Sport comes equipped with a new ‘AnyLight’ hybrid display that should be better visible under direct sunlight. The sport edition also withstands immersion in up to 3 feet of fresh water for up to 30 minutes thanks to its tightly sealed body. You can pre-order the new Moto 360 starting today in the United States, and the watch will go on sale in Nordstrom, Best Buy, and Verizon at the end of September. The timepiece will also be available in North America, Latin America, Europe and Asia. 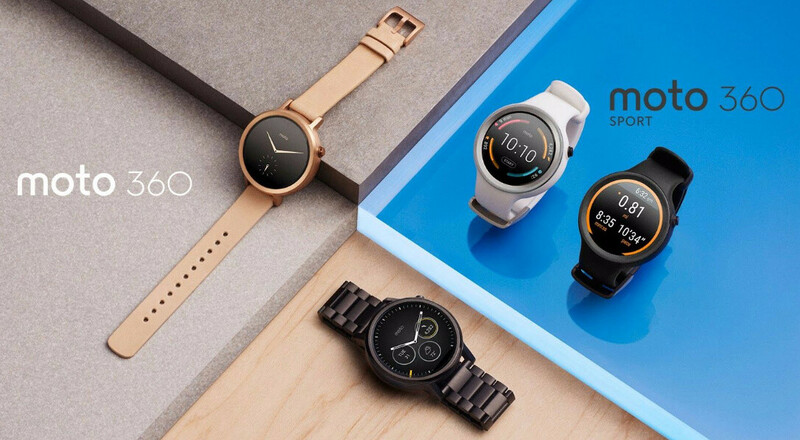 The Moto 360 (2015) price starts from $300 and ranges up to $430, while the prices and release date for the Moto 360 Sport edition are yet to be announced in the near future. As a final piece of notice, please do keep in mind that the new, second-generation Moto 360 watches are not compatible with the wireless chargers used for the first gen watch (nor can you use the first-gen watch with a 2nd gen charger). I agree with Moto, I'll rather have the flat tire with super narrow bezels than have huge bezels... Which is also a win-win since the screen area is also the largest. I just want to know if they upped the resolution on thr 2nd generation. Beautiful, but have no reason to buy one...pass. Looks great! But to be honest, I don't see any reason to buy this over the Huawei watch. That looks horrible. The standard lugs don't match the big round Moto shape and those bands look so skinny. The Original Moto seemed to have fatter straps which match the huge looking diameter a lot better.